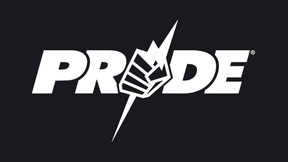 Live from the Yokohoma Arena, PRIDE 2 took place five months after the inaugural event and featured many of the same talent like Renzo Gracie, Akira Shoji, Gary Goodridge, and Branko Cikatic. 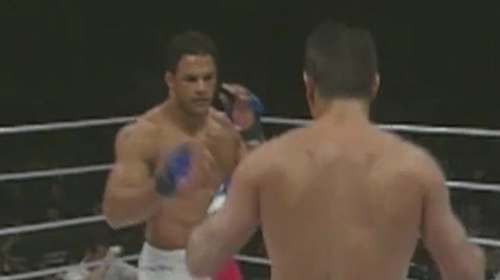 Making their debuts, Kazushi Sakuraba, Mark Kerr, and Marco Ruas. Mark Kerr vs. Branko Cikatic PRIDE 2 Sun, Mar 15, 1998 (8:50) Striker vs. grappler as 1993’s K-1 World Grand Prix Champion Branko “The Croatian Tiger” Cikatic with his scintillating stand-up entered the PRIDE ring against 1992 NCAA Division I National Champion wrestler Mark Kerr with his perfect 7-0 MMA record. Marco Ruas vs. Gary Goodridge PRIDE 2 Sun, Mar 15, 1998 (11:46) Following his big KO win at the first event, “Big Daddy” Gary Goodridge was 7-5 with all wins & losses by finish - meaning Goodridge was must see TV - was set to face UFC 7 tournament winner Marco “The King of the Streets” Ruas with his 7-1-2 MMA record. 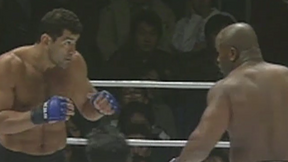 Renzo Gracie vs. Sanae Kikuta PRIDE 2 Sun, Mar 15, 1998 (58:39) In an epic grappling-heavy clash, BJJ blackbelt Renzo Gracie put his undefeated in MMA record on the line as he entered the PRIDE ring for the second time against Judo specialist Sanae Kikuta with his 7-1 pro record including 6 submission wins. 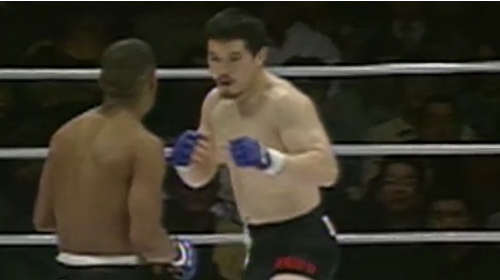 Kazushi Sakuraba vs. Vernon White Pride 2 Sun, Mar 15, 1998 (30:49) Japanese professional wrestler Kazushi Sakuraba ,who had just won the UFC Ultimate Japan tournament, was making his PRIDE FC debut against the Lion’s Den’s stand-up specialist Vernon “Tiger” White, who came into the bout with 30 fights under his belt. Akira Shoji vs. Juan Mott PRIDE 2 Sun, Mar 15, 1998 (5:42) Following his hard-fought draw at the first event, Akira Shoji proved he could battle against the best, but, now, Shoji was targeting an actual win - not just a moral one - as took on BJJ specialist Juan Mott with his 2-1 pro record. Royler Gracie vs. Naoki Sano PRIDE 2 Sun, Mar 15, 1998 (36:26) Multiple-time World Jiu Jitsu Championship gold medalist at the blackbelt level Royler Gracie was 2-0 in MMA with two submissions wins and readied to make his PRIDE debut against vetera Japanese professional wrestler Naoki Sano in his pro MMA debut.